THANK YOU for your continued trust in caring for your most precious pets all of these years. “When I moved to NH 10 years ago, I knew I would be going back to visit family and friends, so one of the first things I asked my new colleagues about was a good pet sitting service. The first three people I asked – all cat lovers like me – said they used & highly recommended Professional Pet Sitting Etc. I have been using them ever since and my experience with them has always been very positive. ” I always use your services for my 2 cats when I’m away and feel very assured they get great care. I get extra reassurance when I return home by how content and unstressed they are. Thanks! I’ve used their services for my Ret. Guide Dog Walden and they were GREAT with him and me. 🙂 I always keep them in mind if I ever need a pet sitter again, I would never call anyone else. “Thank you so much for all you do. 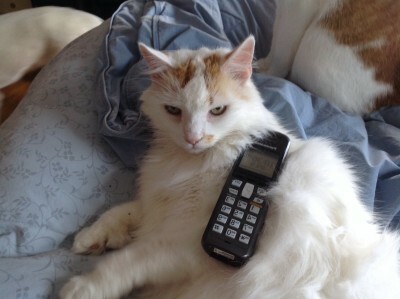 The sitter’s notes sounded like she had more fun with the cats then we did on vacation”. Sadly Sam passed away….we miss Sam terribly and send love, thoughts and prayers to his family. Did you know that injuries to the paws are quite common in dogs? It’s true and once you really think about it, it makes perfect sense. After all, our dogs spend a lot of time on their paws! Running on the pavement, hiking in the woods, and walking on the ice and snow are just a few examples of the wear and tear our dog’s paws take! There are a few things you can do to help your pet keep his paws in good health. Start by paying close attention to where you walk your dog. There are many chemicals and contaminants that your dog comes in contact with on a daily basis. It’s always a good idea to wash your dog’s paws off after a walk. 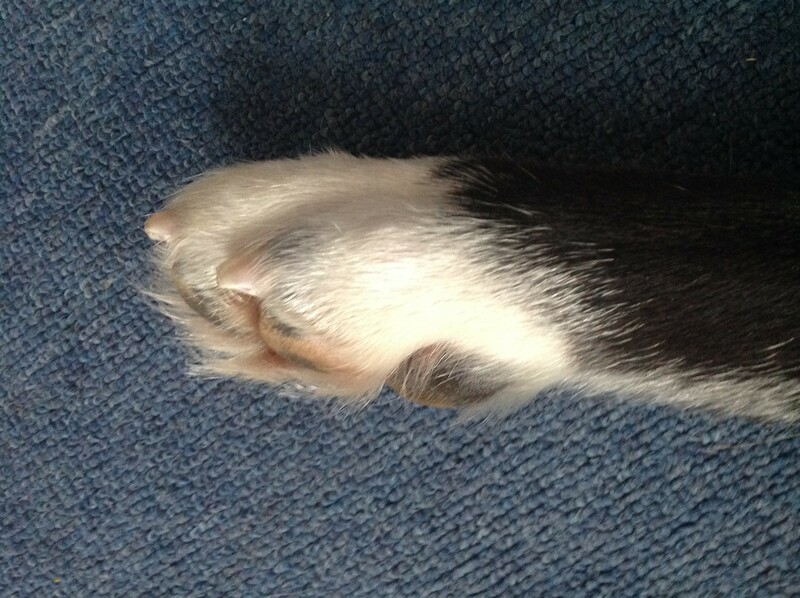 After washing off your dog’s paws, consider using a balm to keep the pads on his feet from becoming dry and cracked. You should also check between your dog’s toes to make sure little rocks or other objects have not become lodged in between his toes or even between the pads on his paws. During the winter months, be sure to use pet friendly de-icers. Aside from causing injury to your dog’s paws, your dog may ingest harmful chemicals as he licks his paws and that can be downright deadly. It’s a great responsibility to care for a dog. Your dog’s overall health, from his ears right down to his paws, is up to you! Be a good steward, your canine pal is counting on you. Business Owners have to wear many hats – Office Manager, Office Assistant, Receptionist, scheduler, writer, editor, creator, web master and so much more. If we are lucky enough to be able to hire out some of what we do, it can help us perform better in the other parts of our immense list of to dos. Better yet, if we can hire out the parts that we do NOT enjoy, even that much better. Talking to people actually is not a job I do not like, however, it is a job that I just can not give my full attention to. I have found that as I age, yup, I can not do some things that I could do when I was younger. Accomplishing a lot in a day, is one of them, as well as being able to do two things at once. Now that I am in my 50s, I am finding that I can only focus on one thing at a time. So, if I am writing an article or updating my website, and get interrupted with the phone ringing, it is taking me longer and longer to get back into the task at hand after I hang up the phone. So, when I heard of a service that could answer my phones and they would do it like I would do it, I was VERY much interested. Since this was a very new concept for me, I blindly believed what I read and heard without really researching (bad on my part, I know). So, here are a few things I have learned, and hopefully, you can find what you are looking for or at least go into a service knowing exactly what you are getting. The following is from my experience, research and opinion, I am sure you will have your own. For the sake of ease, I will be referring to a company, however, a company can be with various employees or just an individual. 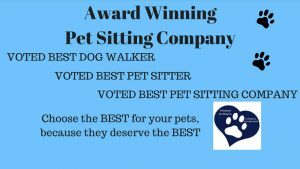 My research was specifically for my pet sitting company, so please keep that in mind. What is a close rate? Take the total number of new clients who have called your company in a month. Then look at those new clients who have registered with you to use your services. Divide the total number of new clients who have called for that month with the number of new registered clients. That will be your close rate percentage. Knowing this close rate will give you the information you need to make the decision on whether this service will be worth having on your team. It should make you money if selling is part of your monthly fee. Look for a company that is versed in using scripts. If they are, ask them to provide a sampling. If you use scripts – make sure you provide those to the company so they can answer according to how you would answer. Remember, you will be entrusting this company to be the FIRST CONTACT for your company. This company should be forthcoming and willing to answer any and all questions you may have and provide documentation to back up their claims. You have a right to know this information to make an informed decision. Now add all incoming calls and all incoming emails for the 3 months, divide that total by 3. Is that number under their total monthly cap? Again, these are my experiences, opinions and research. I hope that you will find a company that can do all the things that you want. This information is here so you can make an informed decision which is what we all want. Most of what I learned above came after I found a company. The worst thing for me was hiring a service and realizing about 3 weeks into it, that what I was told was not what I was getting. I really wanted this to work and if it did, I would have been a lifetime client!! Just to get the phones off my mile long to do list was a dream and I tried to do everything to make it work. I tried a company for 3 months, thinking that it would improve after they really learned my policies and how I did things. But that really did not happen. My new client registrations went down, income went down. Then after numerous calls, sending emails, writing notes and questions on the call log, I was spending more time on the phone than I was before, and getting very stressed, I reluctantly had to stop the service. I felt that things were not going to be any different than they had been and that I was not being heard. The good thing is that this was a learning experience for me. I now know what I am looking for and can ask better questions and look for the answers that will benefit me and my company. If I decide to go with another company, I hope the experience for me and them will be a better one. Has your senior dog been displaying behavioral changes? Behavioral changes in senior dogs are often the result of an underlying physical health problem but can also be indicative of Canine Cognitive Dysfunction. Canine Cognitive Dysfunction or CCD results as a senior dog’s cognitive abilities deteriorate similar to Alzheimer’s in their human counterparts. What are the symptoms of Canine Cognitive Dysfunction? Your veterinary doctor will work closely with you as he diagnoses your dog. He will mostly likely need to rule out some other health issues via diagnostic testing before he can definitely diagnose your dog with Canine Cognitive dysfunction. However, the more information you can provide your vet, the better. You should be able to discuss any and all behavioral changes that you have noticed in your senior dog. Dogs with CCD lack dopamine activity so your veterinarian may prescribe a popular drug by the name of anipryl. This drug may reduce some of the symptoms associated with CCD. However, just as with other areas of veterinary medicine, a holistic approach towards treating and preventing CCD is gaining more popularity. You may consider working with a holistic vet to come up with a plan in addition to the conventional medicine plan that has been put in place. Dietary considerations and supplements are key components that should not be overlooked in your dog’s medical plan. With your help, some environmental changes may make the onset of CCD a little easier on your dog. Avoid moving the furniture as this will only serve to confuse your dog. Try to keep his day on a routine. Doing this will keep stress at bay or at least not add to your dog’s stress. Be sure to set aside time to play with and exercise your dog. Even if his memory is failing, that does not mean your dog should be ignored and it certainly doesn’t mean you shouldn’t attempt to teach him new things or interact with him. Just keep in mind that he may get frustrated just as elderly humans do when they are suffering from dementia. Always exercise patience with your dog and understand that he will need breaks and may frustrate easily, which may bring about some of the symptoms such as aggression with you. 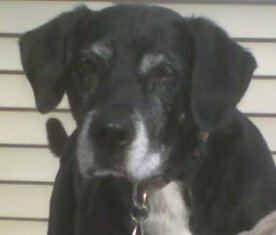 When dealing with an aging dog, the best thing you can do is provide lots of tender love and care. After all, your senior dog has provided you with many years of loyalty and love. It’s only fair that he lives out his final years with a kind, patient and ever faithful pet parent. That heart of the puppy that you loved and nurtured many years ago is still beating inside your senior dog’s chest.